Make wonderful, simple crafts with things found around the house. 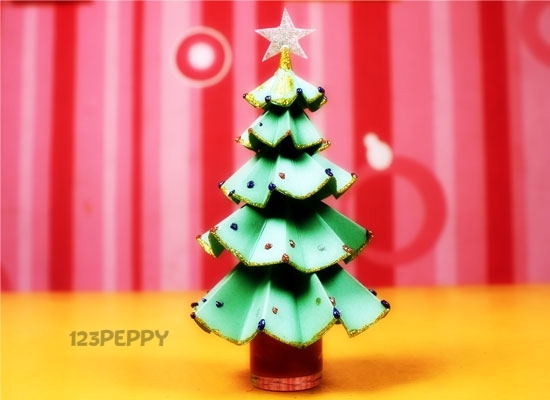 Today we present you a cute Christmas craft. You can decorate your table with this nice tree. Just follow our step by step instruction and learn to make this craft. Have fun.